Halloween decor doesn't have to require a lot of planning or work! You have all of the tools you need to take your spooky diy to the next level with the Cut n' Boss and the eBrush. 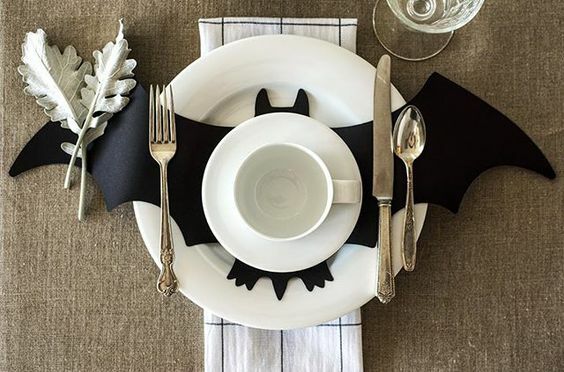 Hester and Cook on Instagram shared this awesome table setting idea. Although amazing just as it is, this is where Craftwell products can take it to the next level! 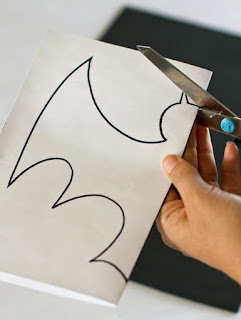 Draw half of a bat image on a folded piece of paper. The fold line will be the center of the bat's body. Once unfolded, you will have an entire and evenly cut bat without the hassle of trying to match sides. Once your bat is ready to go, simply slip it inside an embossing folder and send it through your Cut n' Boss Automatic Embosser and Die Cutter. This will add texture and a 'wow' factor to your decor. It doesn't have to stop there! As crafters, we love playing and experimenting! Pull out your eBrush and a favorite marker such as a gold or bronze Sharpie. Spray the edges of the wings to glam up your bat! Voila! It is time for your spooky creation to take flight and set the dinner table with Halloween fright!